Pets produce a surprising amount of waste. If you have a dog or outdoor cats, you’ll need only consider solid waste as your responsibility. If you have an indoor cat, general kitty litter disposal is an additional consideration. 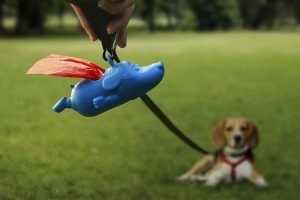 You need to know that pet droppings can be environmentally hazardous. A single gram of dog or cat faeces can contain many millions of faecal coliform bacteria. This presents significant health risks to other pets, humans, and the environment at large. Your pet’s faeces may also contain juvenile worms or worm eggs which can be picked up by and infect other pets. 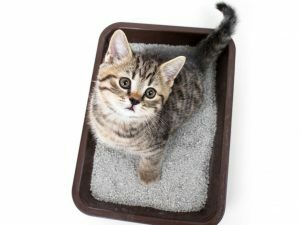 You need to clean up pet droppings from your yard daily, and clean solid waste from a kitty litter at least daily too. Cat droppings (in small amounts) may be flushed down the toilet, or buried in a small pit in your garden. Note that kitty litter itself should never be flushed down the toilet, and that animal droppings are not ideal for adding to a compost bin except in very small amounts, as they don’t decay well and any harmful bacteria present can multiply. If you choose to bury solid waste in your garden, prepare a pit in a garden bed distant from the house. Use a different part of the pit every day. Local garden worms (not parasitic worms) will thrive in the pit over time and this is great for your garden overall. If you have a worm farm, you can put a limited amount of pet waste into it. Droppings must be less than 5% of the overall added material to the worm farm. There are, however, some worm farms that are created especially for animal waste – these are the ideal choice, but not for use as compost on fruit and vegetable gardens. Note too that, if your pet has recently been treated for intestinal worms, you need to be aware that this medication is excreted into the droppings and can kill your garden worm colony. Never use the green waste bin! Animal droppings are completely unsuitable for green waste recycling. Pet waste bacteria is harmful if it reaches waterways. You can legally place pet waste into your general waste garbage bin as long as it is bagged and sealed. You can also purchase pet waste disposal tanks which are sold to be placed in your garden. Remember to collect and bag any droppings that occur on the street or when out for a walk. Most cats are cleaner than dogs and, if outside, will bury their waste in the garden themselves – so you’ll likely never be aware of it. They will be attracted to sandpits and the like, so be aware of this and cover your child’s sandpit when not in use by your child. Disposal of contaminated (urine) kitty litter needs to be carefully considered, partly depending on the type of litter you use. There are some litter products that are biodegradable and can be added to garden beds (dug in). Other types of litter (particularly crystal litter products, which are by far the least offensive to use in the home) need to be bagged, sealed and placed in the general waste bin. Responsible pet ownership includes responsible waste disposal. Do your bit!